Have you learned how to make gelatin dessert recipes? These were some of the most memorable recipes, as a kid I remember Mom making. Gelatin became popular during the Victorian period but only the wealthy could afford to have it in their diets. By the time I was born, refrigerators were becoming popular in almost every kitchen across this country. This made it possible for the large expansion of this type of dessert since refrigeration is necessary to set up and store. The Jell-O brand became so popular that all recipes of this type were referred to as “Jell-O” even the non flavored off-brand gelatin. The expensive Victorian product became one of the cheapest desserts you could make. During the “baby boomer” years (1946 to 1964), sales continued to soar. 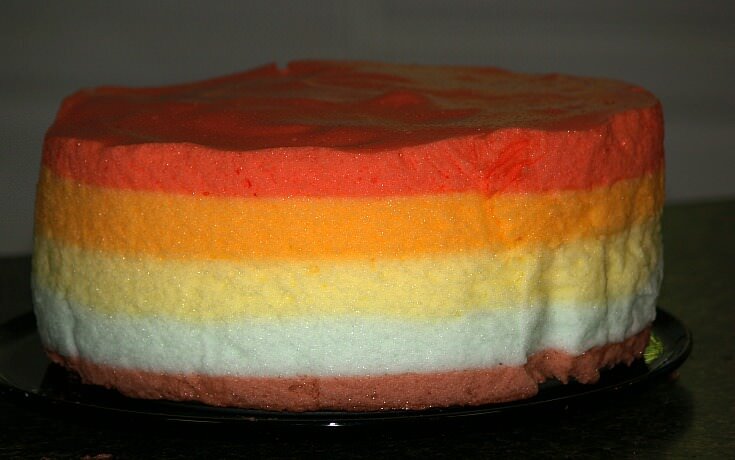 Mom learned how to make gelatin dessert recipes because they were cheap, very light and versatile by adding different fruits. All kinds of new flavors were continually coming out in gelatins. There were even some vegetable flavors at one time but I think those have all been removed; at least I haven’t seen any of these for years. In the 1970’s, one of my favorite Jell-o products appeared in the markets. It was called Jell-o 1-2-3 and coupons were given out to try it. When I learned how to make this gelatin dessert recipe I saw that it would set up in layers; it had a delicious berry flavor blended with cream. My family became “hooked” on it so I prepared it every week. All of a sudden, it disappeared from the grocery shelf and I never heard why. JELL-O TIP: How to whip Jell-0 gelatin? This easy technique changes the texture of Jell-o. Prepare Jell-o as directed on package and chill until very thick. Beat with electric mixer until gelatin is fluffy and thick until double in volume. Pour into molds and chill until firm. This gelatin dessert recipe makes a beautiful presentation. IMPORTANT NOTE: This dessert is not one that you would want to take anywhere. 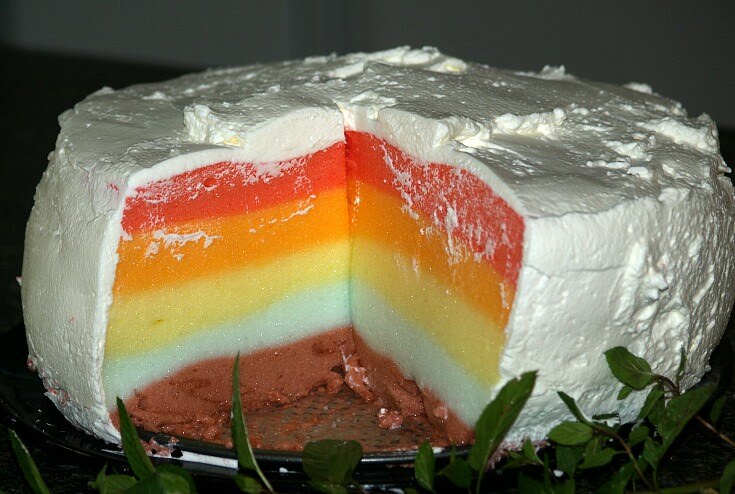 In my opinion it would make a better dessert if layered in a clear glass bowl. Smoothly line sides of 9 or 10 inch spring form pan with wax paper; cut to extend 3 inches above pan. Dissolve each package Jell-o separately in 1 cup boiling water; stir to dissolve. Add ¼ cup of cold water to each; chill ONLY black raspberry until very thick. NOTE: This first flavor took me 1 hour and 10 minutes. Whip black raspberry gelatin until fluffy (Tip above). Spoon evenly into prepared pan; chill until set but not firm. NOTE: The next flavor (lime) was not ready to be whipped for 1 hour; I left the black raspberry in the refrigerator until then. Continue other flavors letting each layer chill until set before adding the next layer. NOTE: The last flavor (strawberry) started to set up on the counter top and was ready to be whipped. For this reason I placed the cake in the freezer while whipping the last layer. After adding the last flavor (Or layer) chill overnight until firm. Loosen around sides of paper; remove sides of pan and paper. Frost sides and top with whipped cream; serves 12. Dissolve gelatin, sugar and salt in boiling water; stir in light cream and vanilla. NOTE: Mixture may look curdled but will become smooth. Stir in sour cream; chill until slightly thickened and beat until smooth. Pour into 3 or 4 ring mold; chill until firm and unmold. Add boiling water to the gelatin in a medium bowl; stir until dissolved; pour into blender. Add enough ice to the cold water to measure 1 ¼ cups. Place water and ice in blender with gelatin; blend until smooth (about 30 seconds). Add Cool Whip; blend well. Pour into 4 dessert dishes; refrigerate at least 20 minutes or until set. Jell-o or other brands of flavored gelatin were (and still are by those who know) made for people, especially children who suffer with illnesses. It provides light food to the body without upsetting the stomach. If I was sick with an upset stomach when I was little, Mom would let me drink a little warm gelatin before it set up. It tasted so good! 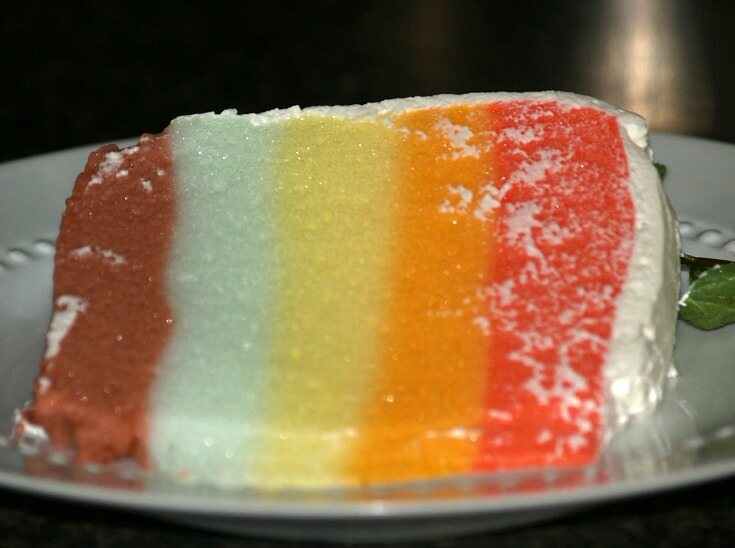 Gelatin dessert recipes can be made with unflavored or a variety of delicious flavors. Plain gelatin dissolves easily if first softened in a little cold liquid and then stirred into hot liquid. To hasten setting half of the liquid can be added hot to dissolve it and then the other half added cold. The softened gelatin may also be stirred over hot water until dissolved and then add all cold liquid. NOTE: Problems always arise when trying to add fresh pineapple juice or pulp to the recipe. Pineapple must be scalded before using. It contains an enzyme which causes the gelatin to liquidly. With canned pineapple scalding is not necessary. A steady decline in the sales of Jell-o has been seen since the 1060’s. Many factors are attributed to this fact like lifestyle and family sizes. I see it a little different. For instance, when I ate Jell-o for an upset stomach, today people simply give their children medicine. Also since the 1960’s we have risen to an affluent society when even the poor have had access to plenty of money. Every person has had the availability of masses of rich affordable desserts, made ready for them to eat so they do not have to put out any effort. This leaves out the need for cheaper, easy to make and versatile ingredients like gelatin dessert recipes no matter how tasty they are. Grease a 10 ½ by 15 inch jelly roll pan; line with wax paper and grease again. Beat eggs gradually adding the sugar; beat until thick and light colored. Gradually FOLD in the flour mixture; then add the vanilla. Pour batter into prepared pan; sprinkle the coconut over the cake. Bake in hot oven about 13 minutes. Sprinkle clean kitchen towel with sifted powdered sugar. Turn cake out onto dusted towel and remove wax paper. Quickly trim off edges and roll cake up in the towel; cool thoroughly. Meanwhile dissolve Jell-o in boiling water and stir until berries separate. Let stand until thickened stirring occasionally. Unroll cooled cake and spread with filling and roll up again. Sprinkle top with sifted powdered sugar; chill and store in refrigerator. 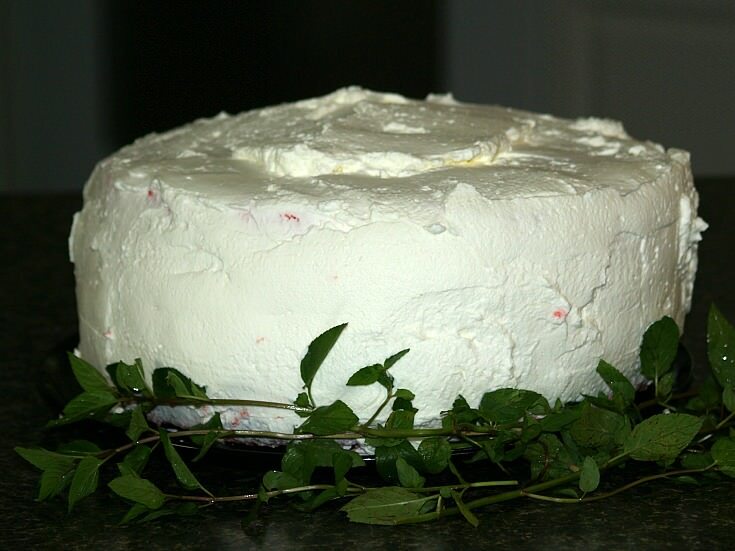 Garnish with dollop of whipped cream to serve the gelatin dessert recipe. Prepare dressing and salad the day before serving. Combine marshmallows, cream cheese and whipping cream; blend well. Combine cranberries, water and sugar in a saucepan. Bring to a boil, reduce heat and cook until berries pop; let stand to cool slightly. Stir in gelatin granules mixing to dissolve; let stand to cool. Add grapes, pineapple, walnuts and strawberries to cranberry mixture. Spoon into serving dishes and chill overnight. Just before serving, whip the dressing; serve dollops on salads. Dissolve Jell-o in boiling water in a saucepan over low heat. Blend in corn syrup and chill until slightly thickened. Line an 8 inch square pan with wax paper; grease with softened butter. Pour into pan; let stand in refrigerator overnight. Place mixture on cutting board heavily dusted with powdered sugar. To remove wax paper dampen surface and let stand few minutes; peel off paper. Dust top of mixture with powdered sugar. Cut into 1 inch squares; roll cut edges in powdered sugar.